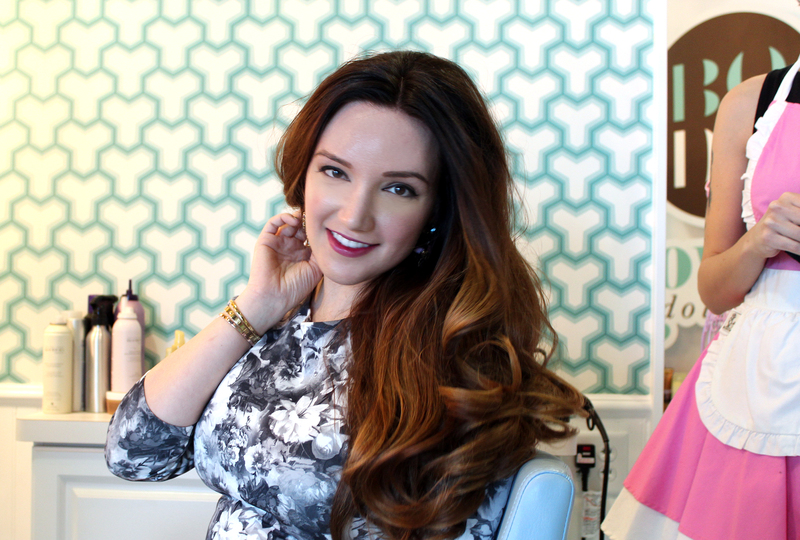 For my New Year’s Eve trip to Las Vegas, I needed to find a salon that could style up my wild and crazy mane with a blowout that could last me the entire trip (with the help of dry shampoo of course!) 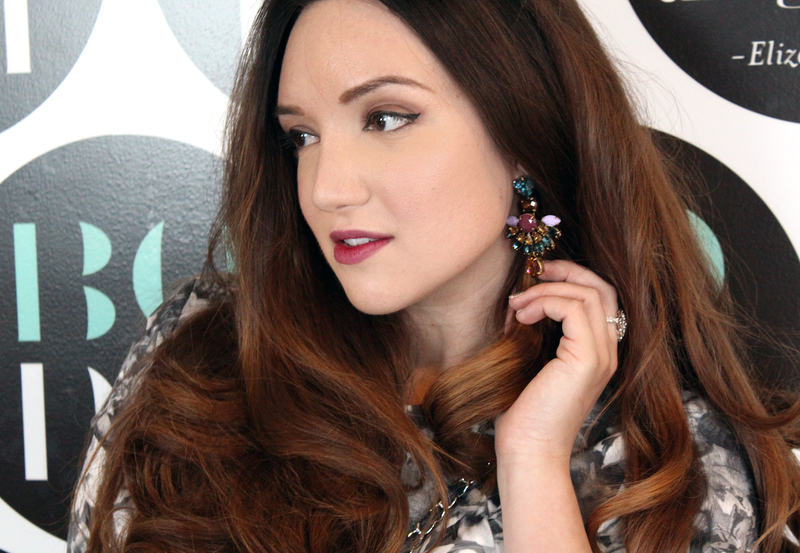 After searching online and doing some research with the locals, I found Blowout Dollhouse and was excited to get some volume and curls pumped into my hair! 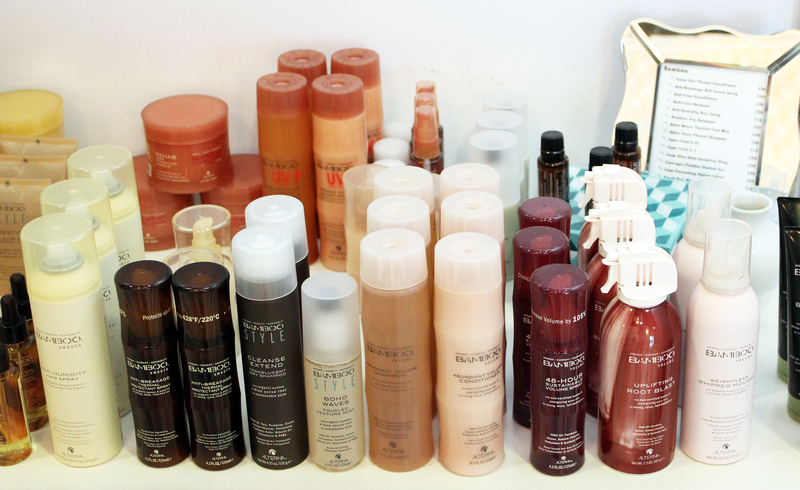 The selections of shampoos and conditioners used at Blowout Dollhouse are made with caviar oil which is breathes new life into hair thats dry. Definitely was great to add some moisture to my hair when in the dry Las Vegas desert air. I combined lavender and lime scents for a shampoo experience that was squeaky clean and refreshingly tingly! 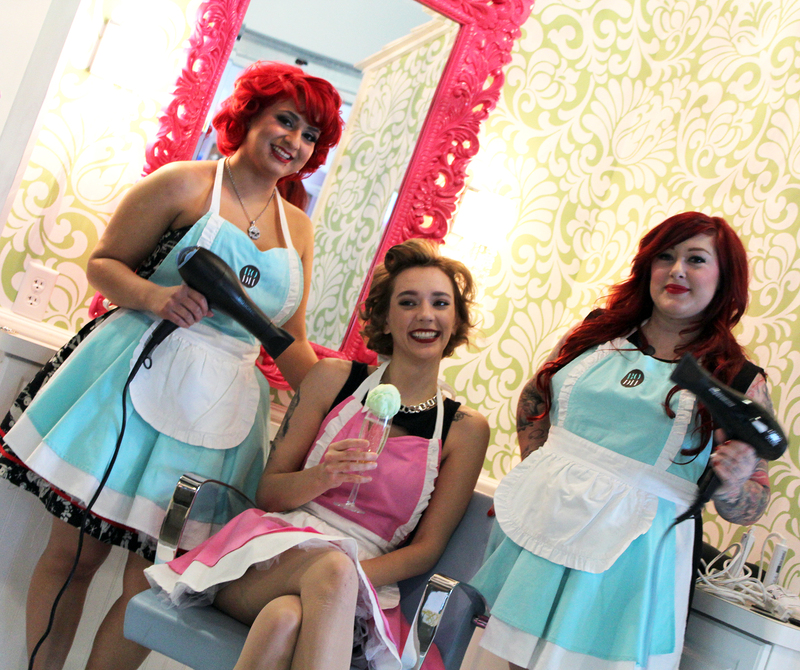 A few of the adorable dolls in the salon that whipped our hair into shape. 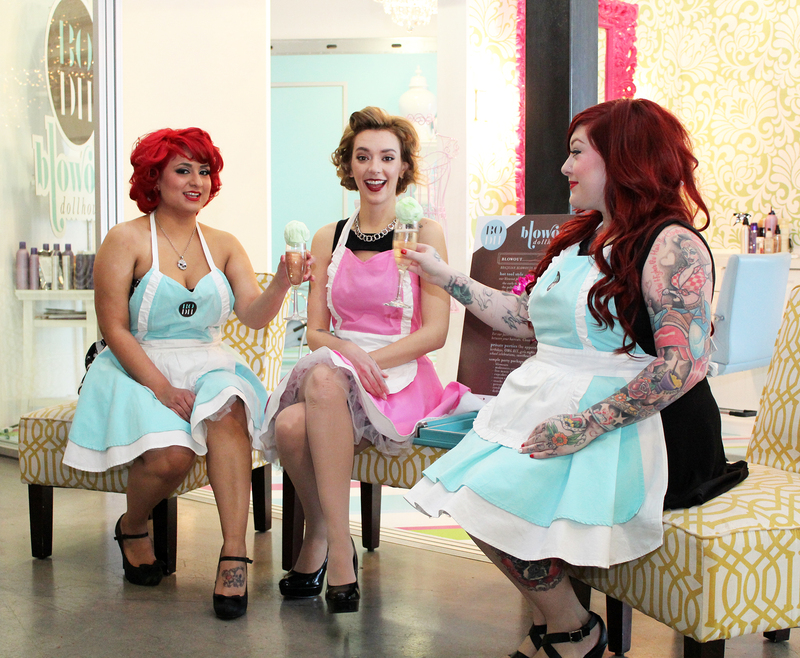 One part granny, one part pin-up, and add a splash of Vegas! 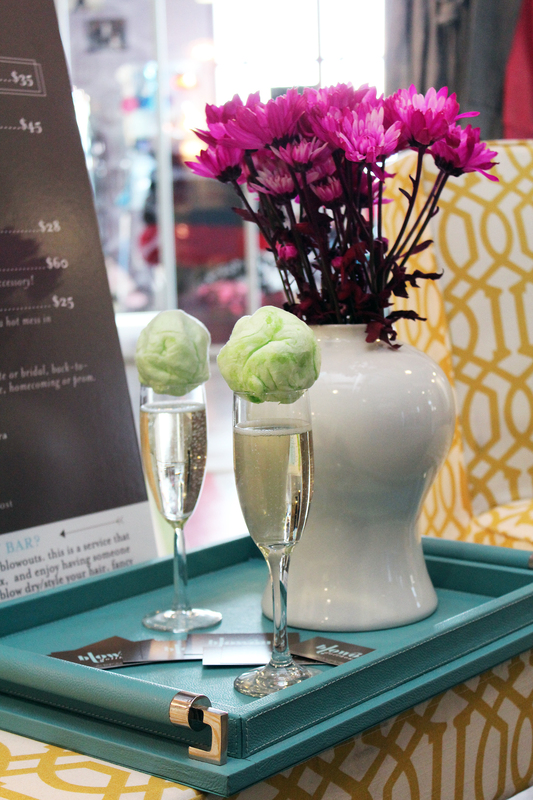 What blowout salon experience would be complete without champagne? 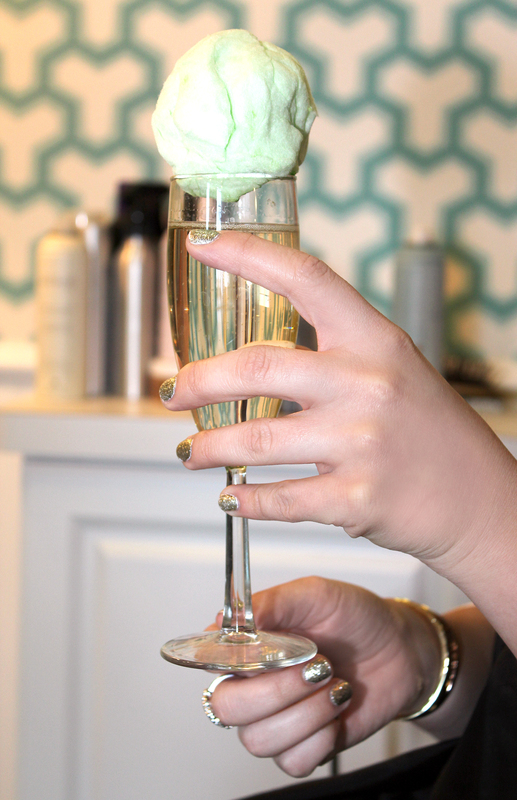 The salon’s signature drink–The Doll–is a glass of chilled champagne with a cotton candy topper. Push it down into the glass and watch it fizz! 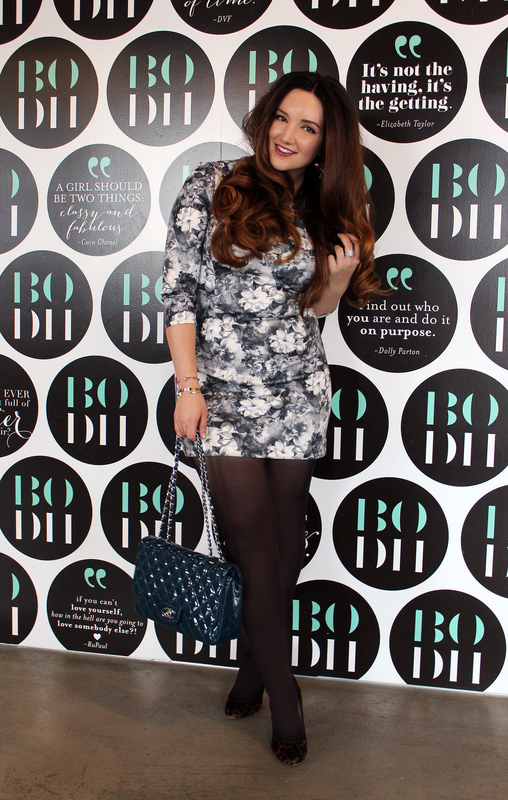 We headed to the salon before a shopping trip to the boutiques in the new Cosmopolitan Hotel and Casino and I wore a black and white floral printed dress for the occasion. I knew I was going for big big big volume and curls for my hair so wanted a slimmer fit dress to counter-balance the fullness. This dress is also a bit on the short side so I paired it with my favorite Wolford tights to balance out the short hemline. And to match my curls? I wore my JCrew Etta pumps in the gorgeous chocolate leopard print which is very complimentary to my hair color. 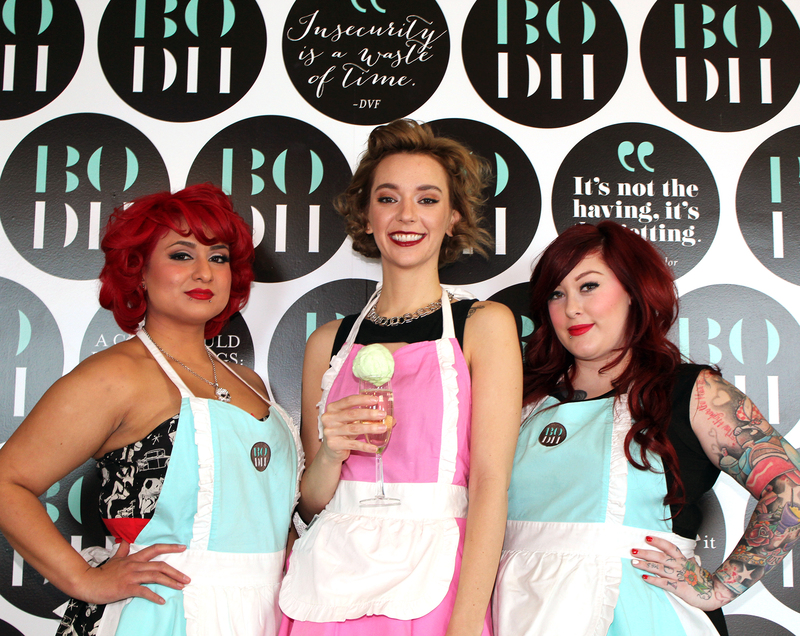 If you’re looking for a blowout salon in Las Vegas for great night-out hair, I highly recommend the talented dolls at Blowout Dollhouse. 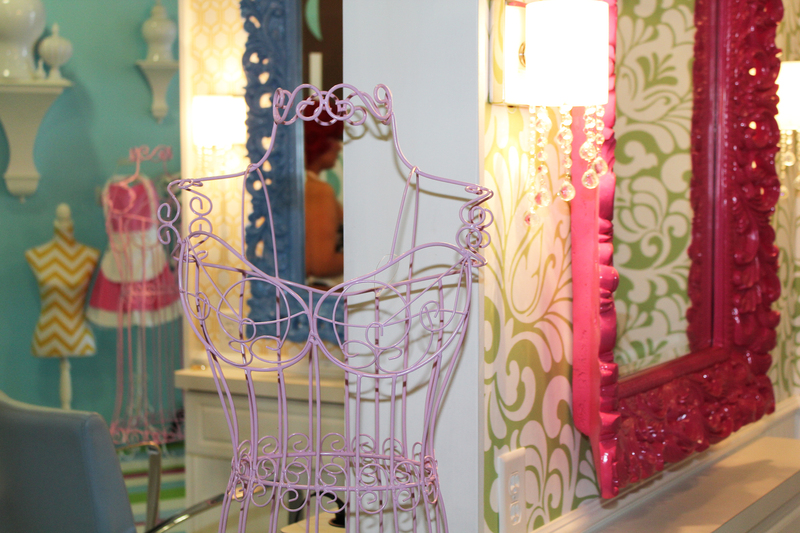 Such a fun and girly place to blast some tunes (we listened to Lorde…obsessed! 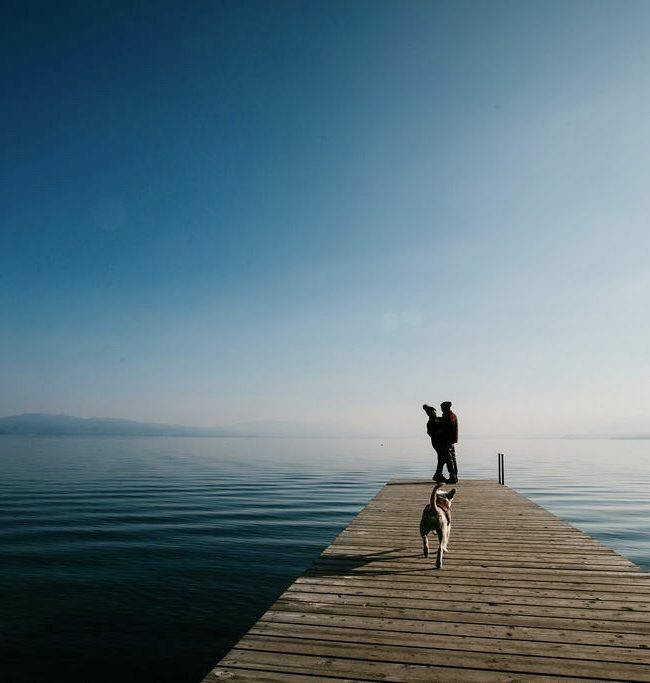 ), sip some champagne, and take some photos. 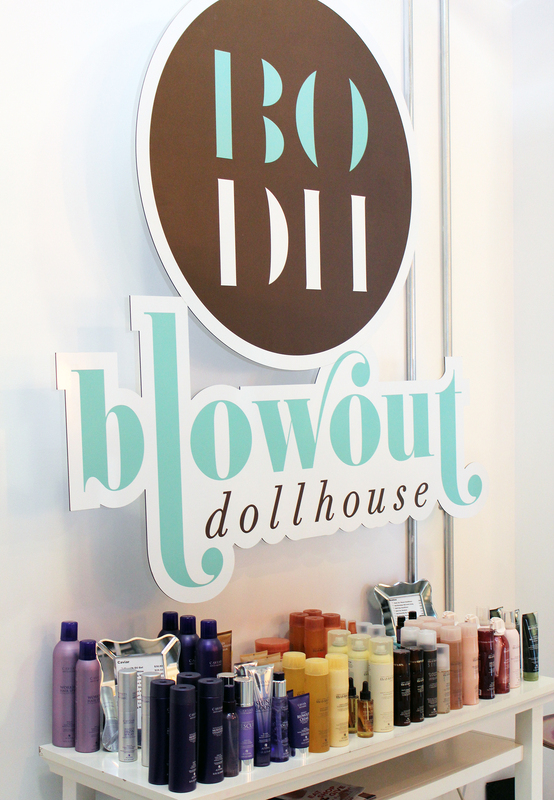 Cheers to Blowout Dollhouse! 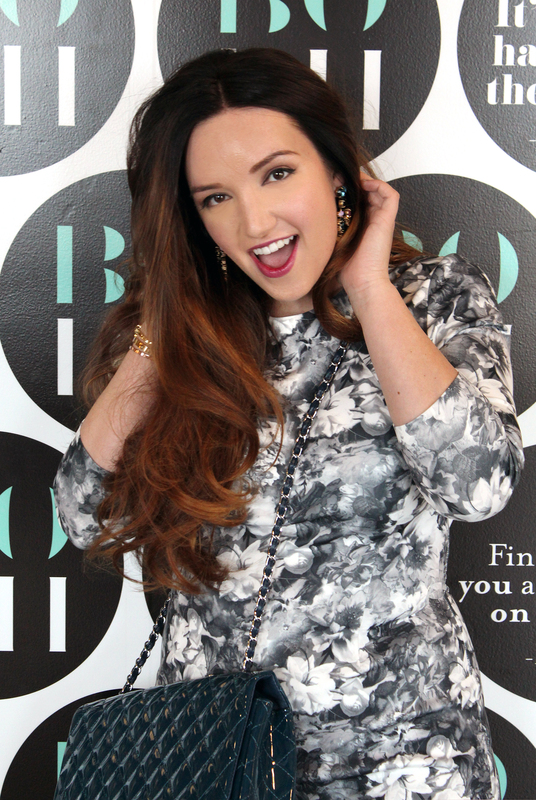 Stay tuned for more posts from my trip to Las Vegas…on the blog soon!